In the wild chinchillas and degus feed on different graΒes, herbs and flowers. 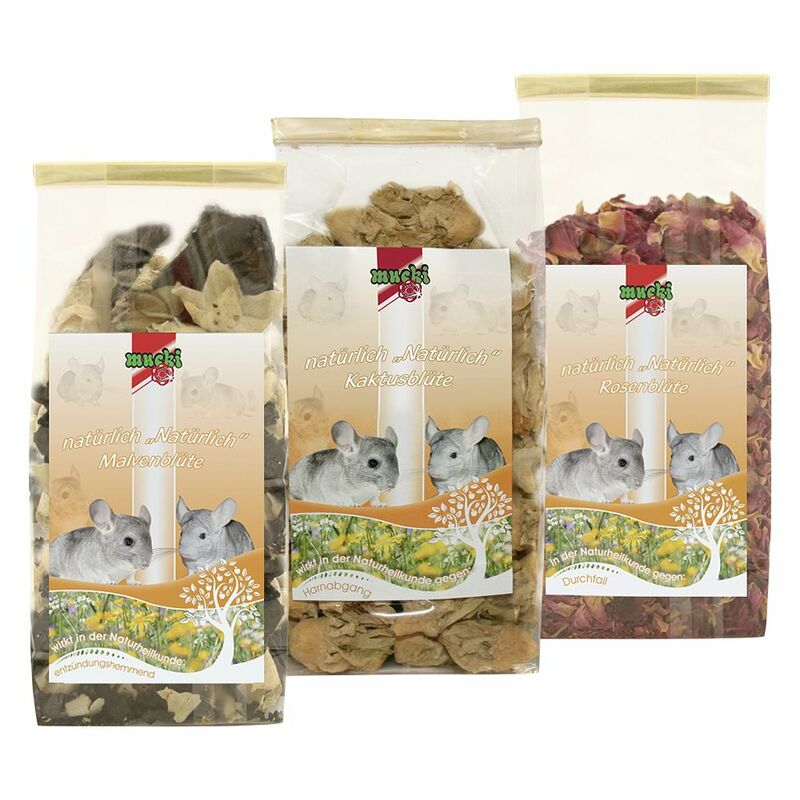 This trio of rose, cactus and mallow flowers from Mucki is a natural, great tasting treat for your pet. Not only does it look pretty, it also adds variety to your pet's feed. Each variety is individually packaged so you can choose which one to give your pet. Flowers are a tasty and healthy supplementary food because they have a low energy content but contain plenty of fibre which makes them the ideal treat for your pet.